Social media tools can help your business increase productivity and improve ROI when it comes to your social marketing strategy. 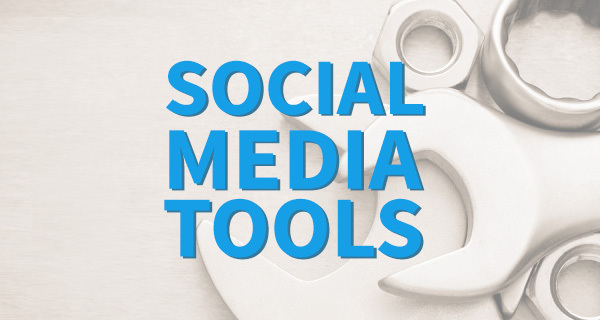 Below, we share six new social media marketing tools which are worth adding to your social network toolbox. If you have a new tool that helps your business see more success with social media, please share it with our readers in the comments below. If your business had access to a Twitter tool that would tell you which wording of two tweets would deliver more retweets, would you use it? Well, there is a tool like that and it is called Retweeted more. Here’s a Mashable article explaining more about this awesome, new Twitter tool your business can start using right now to improve its social marketing ROI. Could your business use a free Facebook advertising tool that would show you which campaigns are working, which are not working and why? It may sound too good to be true, but it isn’t. Facebook Ads Compass from AdEspresso generates a report to help your business analyze your ad campaigns and increase your ROI. Visual content is key to social media for business success. Kanvas is an iOS app for your iPhone which will help your social marketing manager create a number of different types of visual content quickly and easily and then share your creations to Instagram, Facebook, Twitter, and other social networks. With this social media tool, you can turn your photos into GIFs, time-lapse and slow-motion videos, slideshows and animations. How connected are you to your social network? Business owners and sales professionals can benefit greatly by using LinkedIn to grow their networks and stay connected with those networks. The new LinkedIn Connected app offers professionals a way to maintain a healthy relationship with their networks in an authentic way that will help grow your business and increase sales. Are you using an editorial calendar as an integral part of your blogging for business plan? We recently ran across a free editorial calendar WordPress plugin which will definitely help increase your blogging productivity. The plugin – Edit Flow – not only aids in the creation and management of your editorial calendar, but it also synchronizes with Google calendar and iCal. Want a simple social media tool to turn inspirational quotes from simple text versions to eye-catching graphics? QuotesCover enables your business to create social content that engages your audience in a matter of minutes. With this tool, you can turn text into an image to share on your social networks like Google Plus,Facebook, Pinterest, etc., or to use in other applications like a custom Twitter header or eNews blast.